Enhance your quilting with rulers! Participants of this class will use a preprinted rulerwork panel and quilt it step by step along with lots of tips and tricks! 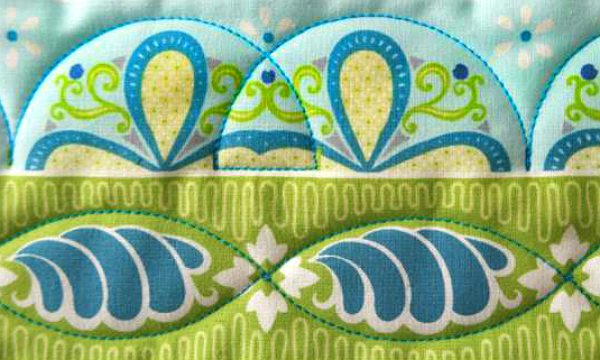 Using a rulerwork set you'll learn how adding rulers to your quilting plans can enhance your quilts. If you've never used rulers in your quilting, Denise will teach you the things you need to know to get started. If you've worked with rulers before, this class will give you the confidence you need to take your quilting to the next level. We'll work on blocks, sashings, and borders...no math required! Basic machine quilting knowledge recommended. Sewing machine, ruler foot and rulers provided.